Cape Town – Government’s intention to implement a debt forgiveness programme for over-indebted households poses a major threat to the financial sector, according to Neil Roets, CEO of debt management company Debt Rescue. In a discussion document presented to Parliament, MacDonald Netshitenzhe, acting deputy director general at the consumer and corporate division of the Department of Trade and Industry, said the National Credit Act (NCA) currently makes no provision for the minister to provide any debt relief in specific circumstances. The department proposed a number of amendments that would enable the minister of trade and industry to introduce relief measures for certain classes of debtors, such as those who have been retrenched. If the measures currently being investigated by the DTI came to pass, it would bring welcome short-term relief to deeply indebted consumers but longer-term consequences could be extremely negative, said Roets. The DTI came to this conclusion after a number of deliberations were held by the portfolio committee on trade and industry last year, during which banks and other credit providers cautioned against legislated debt relief measures. Trade unions and consumer bodies, however, welcomed the move. 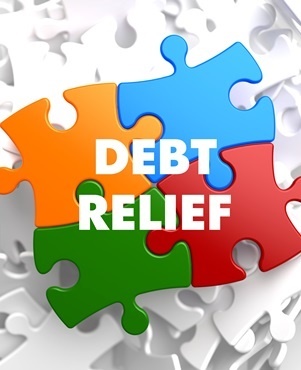 The department recommended that certain criteria be developed under which retrenched consumers, victims of unlawful grant deductions as well as those who fall prey to reckless lending may qualify for debt relief. Roets said rather than helping consumers, the debt forgiveness programme being mooted by government would plunge them deeper into debt in the long term. “If lenders are compelled by legislation to write off even minimal amounts of debt, it would shake confidence in the South African economy to the core. Loans of all kinds would become subject to stricter conditions, making it much more difficult for the poor to secure credit,” he cautioned. If government decides to go ahead with its intention, which is currently in the planning stage, it will ultimately be the banks who will lose out when lenders are unable to service their loans, Roets said. According to Roets, it would also make it more difficult for consumers to obtain loans because unsecured debt will be viewed as ultra-high risk if there was the possibility that it could be written off. He cites a World Bank review which states South Africans currently owe R1.63trn to lenders, and the country is home to some of the most indebted consumers in the world. In addition, figures released by the National Credit Regulator and Statistics South Africa show that more than half of all consumers were three months or more behind in the repayment of their loans. “Debt review remains the best method for getting out of debt, because it gives consumers breathing space to pay off their debts in smaller instalments over a longer period of time while protecting their assets from debt collectors,” Roets said. The debt review process was introduced in 2007 with the NCA. Over-indebted consumers make use of a debt counsellor who will help calculate with them what amount is needed to cover living expenses and what is available to repay debts.